Sun Boss understands the need for adding living space onto a home that is as beautiful as it is functional. That is why we offer a seleciton of patio cover styles and designs that will add value to your home and your life style. Whether you’re interested in a lattice patio cover or a solid overhang, attached or free standing, Sun Boss can install a patio cover that is durable and beautiful. 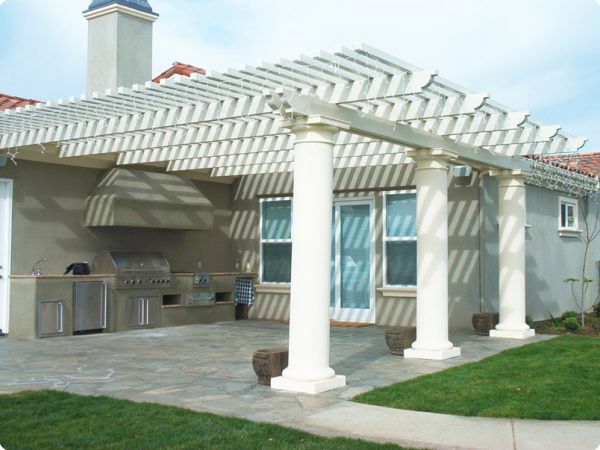 Learn more about our patio cover designs below. Our popular Imperial Wood™ open lattice patio covers have the look of wood and are maintenance free. 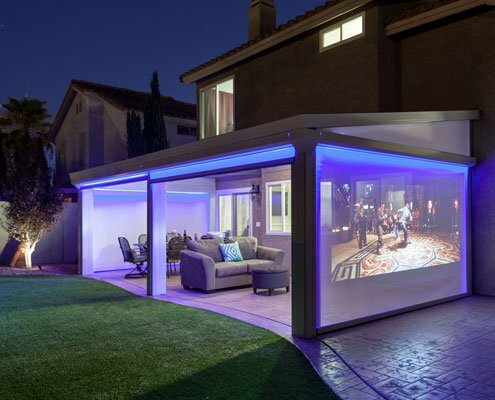 The open lattice cover is ideal for those that are looking for some shade without darkening the interior of the home. This pergola is the ultimate in freestyle look and grace that truly should be the ACCENT of your yard. Sun Boss has been designing these open Imperial Wood™ lattice patios to create unique and fun outdoor areas that will last the life of the home. Have a patio area or deck that isn’t used as much as you’d like? Cover it with a Straight Eave Sun & Stars patio cover from Four Seasons! 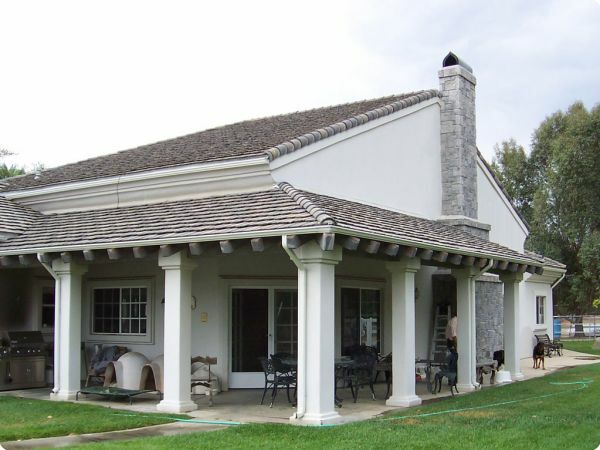 Beautiful and flexible, this type of patio cover fits most architectural home styles and almost any application. 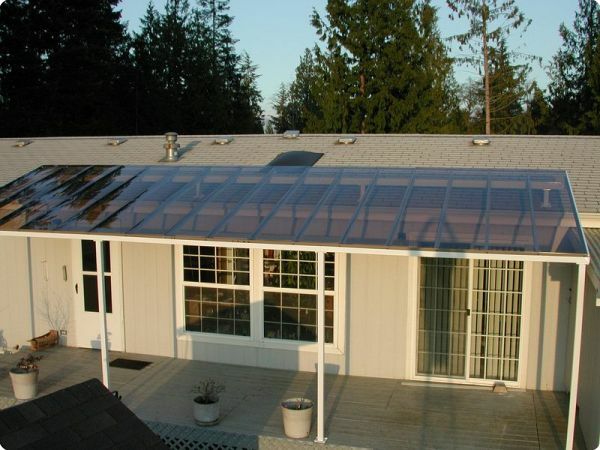 Built using the same energy efficient windows as used in our Sunrooms, these patio covers with glass roofs offer the same great protection and thermal resistance you’d expect from a glass patio enclosure. Solid covers are designed to keep the rain off the patio as well as create shade to the area and house wall during the summer months. Sun Boss offers several styles of solid covers, from the most basic design to the most extravagant. The material comes in several colors and can be upgraded with columns and lighting for sophisticated charm. Sun Boss specializes in designing a patio cover that will blend with the existing home and accent the yard and patio areas.